The entertainment giant was the Dow's worst performer -- even after establishing a new tentpole franchise. As for individual stocks, Disney (NYSE:DIS) fell after managing the best-ever global movie opening with Star Wars: The Force Awakens, and auto service and parts retailer Pep Boys (UNKNOWN:PBY.DL) jumped on news of a nearly $1 billion buyout offer. Disney was the Dow's worst performer today, as investors weighed the entertainment giant's record-smashing Star Wars movie debut against more worries about its relatively weak cable TV business. The Force Awakens solidly beat expectations by collecting $250 million at domestic theaters and $540 million around the world -- making it the biggest film release to date on both counts. Of course, that's just the start. In the weeks ahead, The Force Awakens should benefit from spiking holiday theater traffic. And its international numbers should get a nice boost when the film opens in China for Jan. 9. But Disney's executives are more excited about the long-term outlook. "What this really does is it sets this great franchise up for far more value creation over a longer period of time for the company," CEO Bob Iger told Bloomberg. In fact, Disney is planning at least six years of annual sequels in the saga, bolstered by TV content, theme park additions, and, of course, merchandising. Yet Disney has its detractors too. Analyst John Janedis at the investment firm Jefferies published a note today warning about spiking content costs at ESPN. With expenses rising, and subscriber numbers trending lower, profitability will be under pressure at ESPN, he said. That outlook is enough to keep Jefferies on the sidelines for this stock. But long-term investors have more to celebrate than to fret about on a day when Disney just added a new tentpole franchise to its deep portfolio of global blockbusters. The acquisition drama between Pep Boys, Japanese tire maker Bridgestone (NASDAQOTH: BRDCY), and billionaire investor Carl Icahn took another step toward a cool $1 billion today. Pep Boys confirmed this morning that Icahn raised his buyout offer from the early December $15.50 per share, or $863 million, to $16.50 per share, or $919 million. 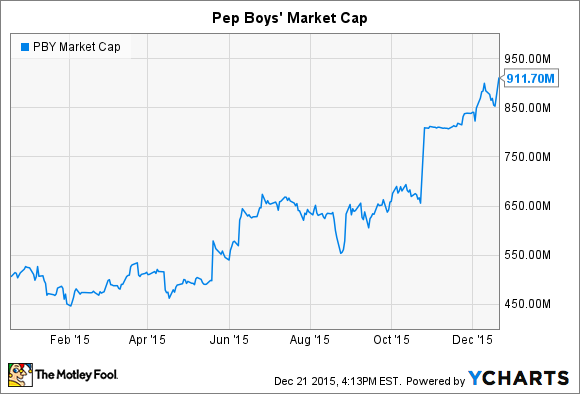 The news helped Pep Boys' stock jump 7% as its market capitalization passed $850 million. There's no telling whether Bridgestone will counter with a higher proposal of its own, but the company has until Wednesday, Dec, 23, to do so. In any case, shareholders have to be pleased that their company is being so aggressively pursued. After all, operating results haven't been stellar lately: Comparable-store sales shrank by 2% in the third quarter after barely growing in the second quarter. 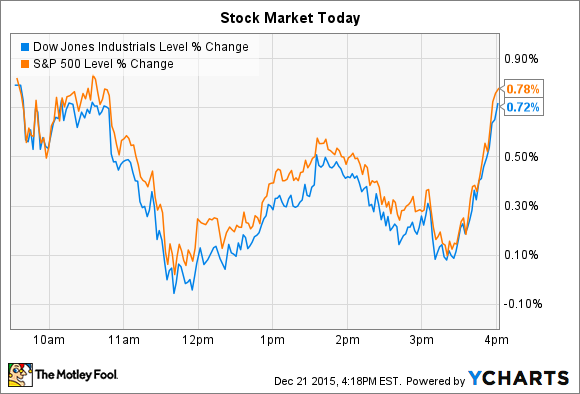 At today's prices, the stock is valued at about 70 times this year's expected profit. That sounds like a great deal for current investors, even if it isn't sweetened by another round of increased bidding in the days ahead.